Olympians, Australian champions and stars of tomorrow will contest Australia’s Richest Mile Running Race this June. 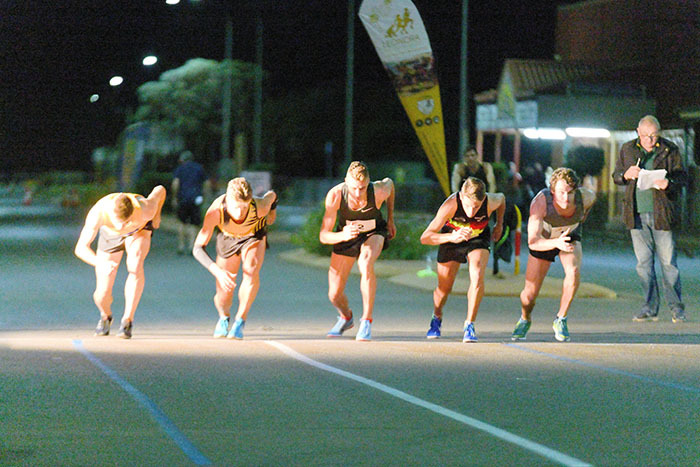 The 2017 Leonora Golden Gift Elite Mile is shaping up to be one to remember as the nation’s best athletes battle for a share in $50,000 prize money. Heading the women’s field are Madeline Hills (NSW) and Zoe Buckman (Vic) . Both raced at the Rio Olympics last year, Hills finishing seventh in the 3000m steeplechase and 10th in the 5000m. Dual Olympian Buckman is a World Championship finalist and made the 1500m semi-finals in Rio. Hot on the Olympians heels will be young guns Georgia Wassall (NSW) and Keely Small (ACT) . Rising Aussie middle distance star Wassall was a bronze medalist at the 2014 World Junior Championships. But looking for a breakthrough performance will be 15-year-old prodigy Small, who set a new Australian junior record over 800m in March this year. Running the lightning fast time of 2:01.46, she also became the world's fastest ranked female under 18 over 800m. The men’s field is no less impressive with Australia's greatest rising middle distance prospect Matthew Ramsden (WA) the one to beat. The multiple Australian junior representative, WA State 1500m Champion and 2017 Team Bolt All Stars Nitro Athletics winning team member stunned the athletics fraternity with a blistering win over triple Olympian and multiple Leonora champion Jeff Riseley at the Nitro event. Also from WA, Marc See, competing in his fourth Leonora event, will be looking for another sub-four-minute mile after becoming the first WA man to crack the challenge since the great Herb Elliot, after he clocked a time of 3:58:61 at an event last year. From the Eastern States are Jordan Gusman (ACT) and Stewart McSweyn (TAS). Gusman, another sub-four-minute miler is in great form after recently defeating Rio Olympian Ryan Gregson over the mile. Current Australian Cross Country Champion and multiple Aussie representative, most recently at the World Cross Country Championships, McSweyn holds Tasmanian records for 3000m steeplechase and 5000m. A huge bonus for this year’s race is the inclusion of Rio Paralympic bronze medallist Michael Roeger (ACT). The T46 athletics competitor is also the 1500m and 5000m world record holder. Event athletics manager Ross Johnson from Runner’s Tribe said the 2017 fields were easily the best ever assembled. “In addition to the favourites, the rest of the fields are made up of state champions and Aussie reps - we have the cream of the crop in Aussie middle distance running,” Johnson said. The Elite Mile heats will take place on Saturday June 3 with the finals run on Sunday June 4.